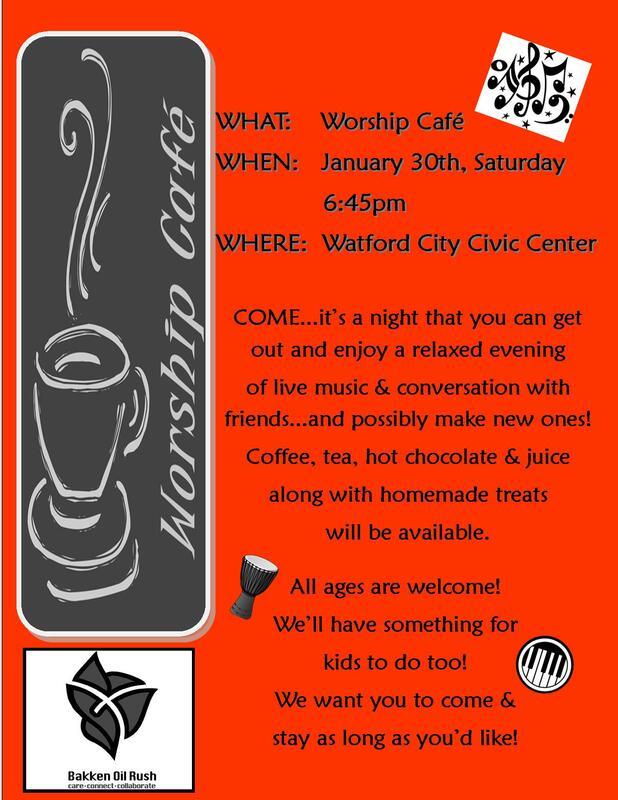 We are excited about a new event, called “Worship Cafe,” this Saturday, January 30th at the Watford City Civic Center (across the street from the Post Office), 6:45 pm until 8 pm or so. Its a relaxed evening of music and worship. Come as you are, bring your kids, we’ll have activities for them along with hot coffee, tea or chocolate, juice drinks for kids and homemade snacks. Just listen or sing along and make a new friend or two. If you enjoy music and a relaxing place to go…come! Hope to see you this Saturday! 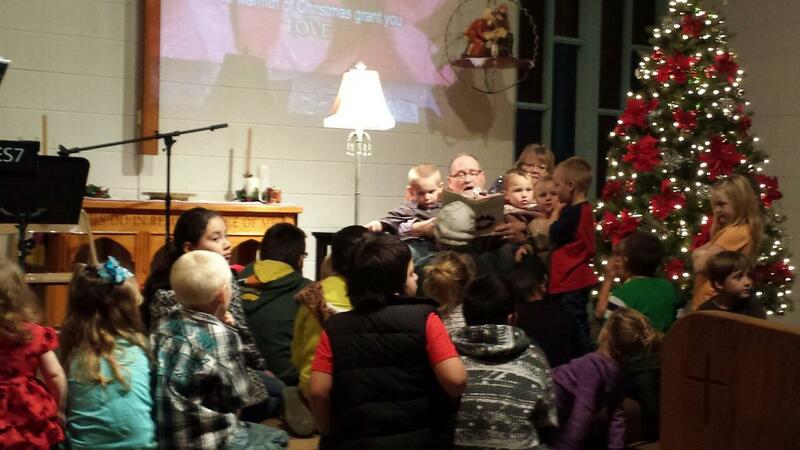 Re-cap of our December Christmas Celebration event! I was getting ready to do a post for this Saturday the 30th and saw that I had not done a re-cap of our Christmas Celebration here. So..so…sorry! If you haven’t seen the recap on our Fb page here it is…late…but still a great event with wonderful memories! 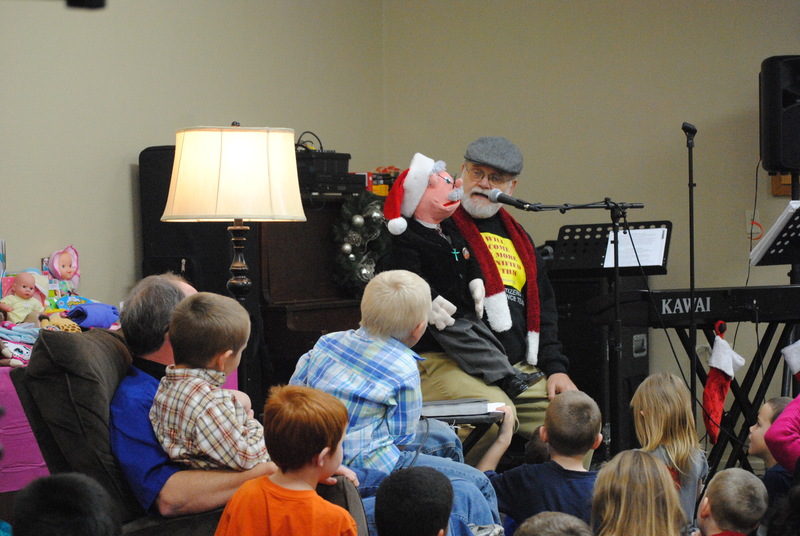 Enjoy the pictures from our December 19th, Saturday night Christmas Celebration. 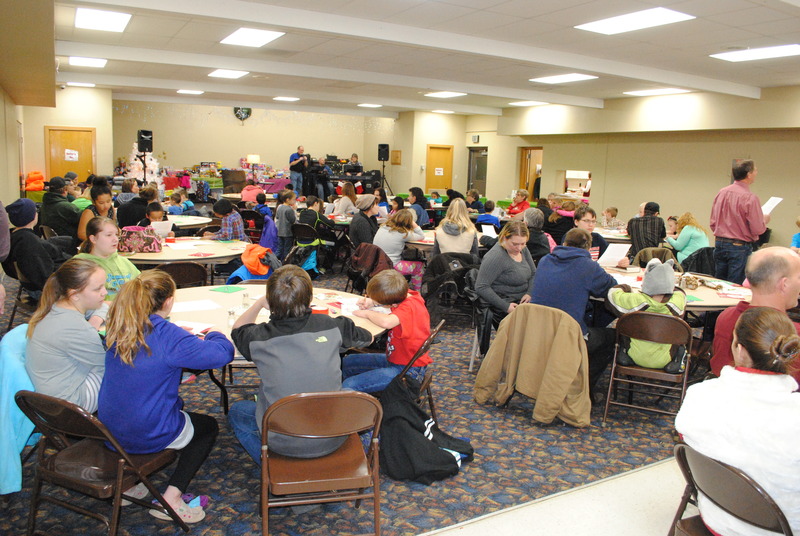 We had a wonderful time and so did the 160 to 170 that attended the event. 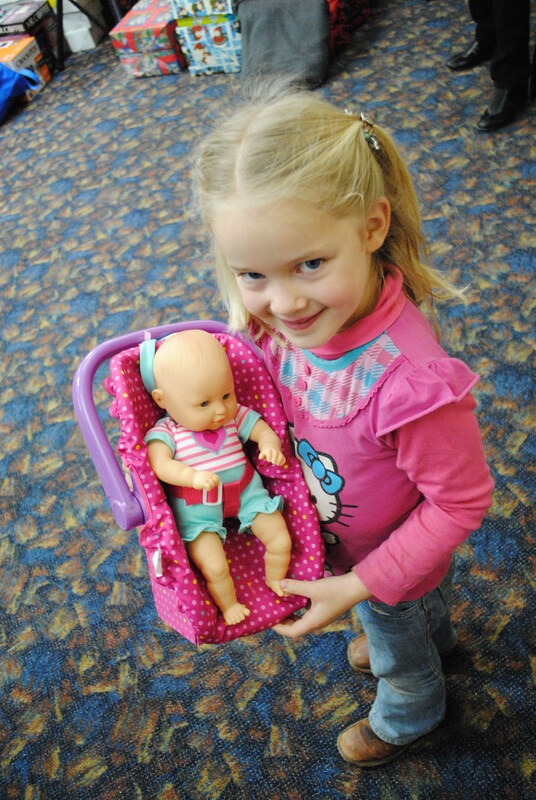 We had 82 kids who all received a new unwrapped present of their choosing…and then received a secondary present as well. Much joy in the house! Thanks to the 34 volunteers who worked hard to make this a success, from setup, to kitchen help, to servers, to present delivery help, to cleanup folks. We absolutely could not have done this without you. 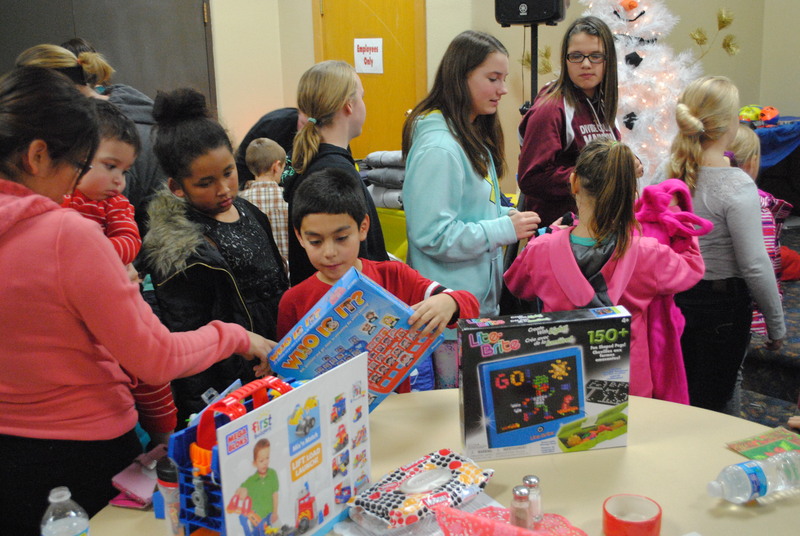 We are humbled and amazed by the support and tireless effort of the volunteers and also local businesses who donated money for gifts and doorprizes. 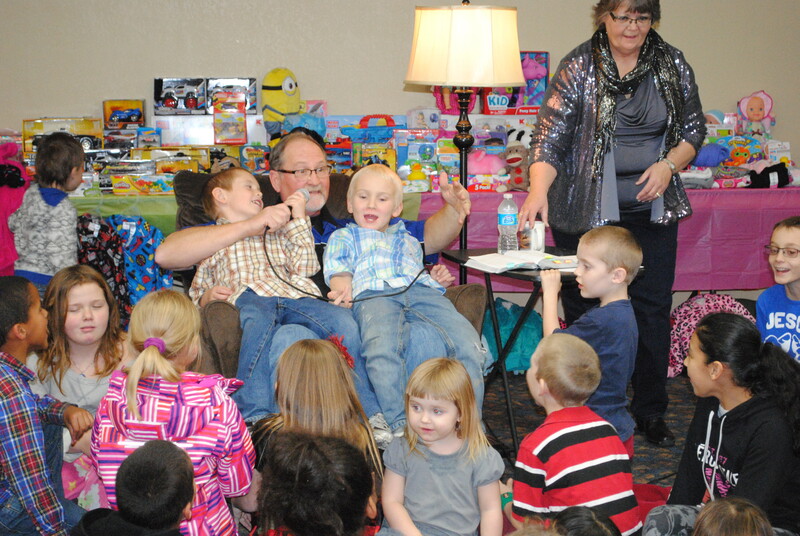 Also, we must thank Legacy UMC church in Bismark for collecting a good number of gifts to help support this event. We believe lives have been touched and encouraged because of this evening. To God be the glory!! This is a special invitation to our Christmas celebration, December 19th at 6 pm. It will be held at the Civic Center this year. 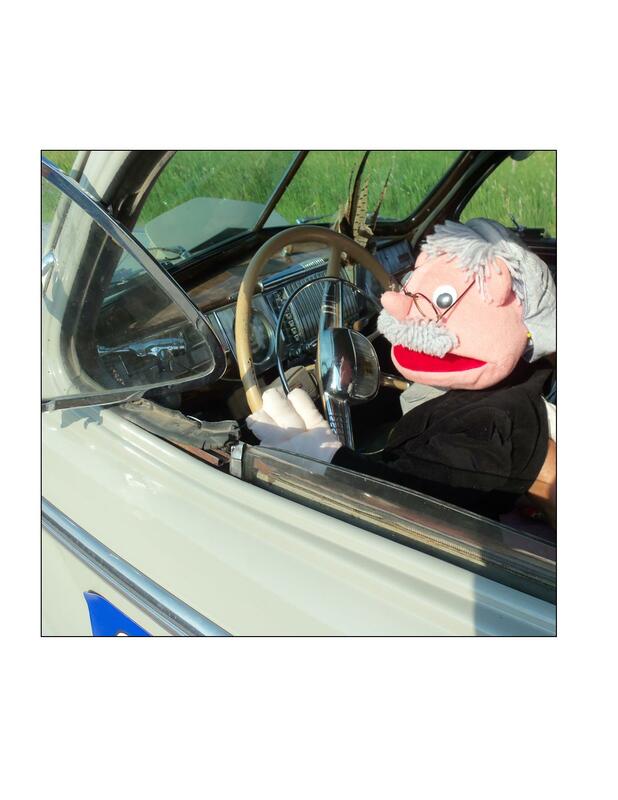 We will read the Christmas story, sing Christmas carols, have a special Christmas story by Andy, (pictured) a real “dummy” traveling to North Dakota from Minnesota. We will then have a special Christmas meal followed by gifts for all the kids present from our special “toy mall.” Each child will be able to pick out their own new present from the mall. It will be a special evening! If you plan on attending please send us a quick note with the number attending, gender and ages of the kids. We want to make sure we have enough food and presents for all of the kids. We’re excited to host this event and hope you’ll attend! 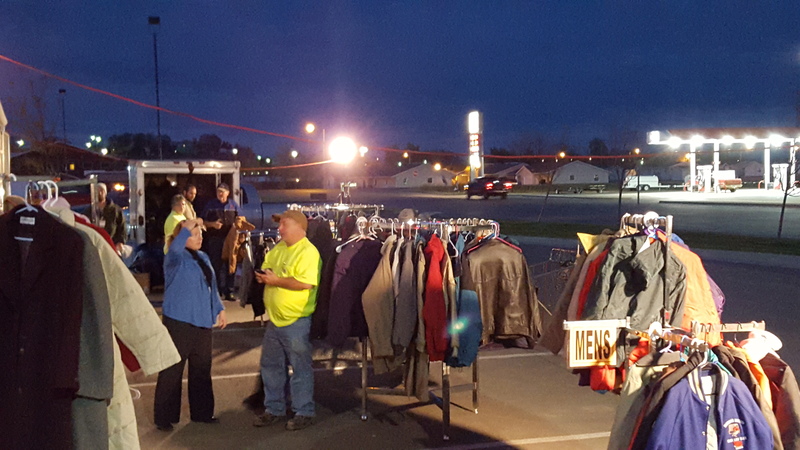 Mobile Thrift Center will be open tomorrow, December 1st from 5 to 7 pm at the First Presbyterian Church, 3 1/2 blocks east of Carquest. We will hae coats, caps, gloves, hoodies and blankets available. 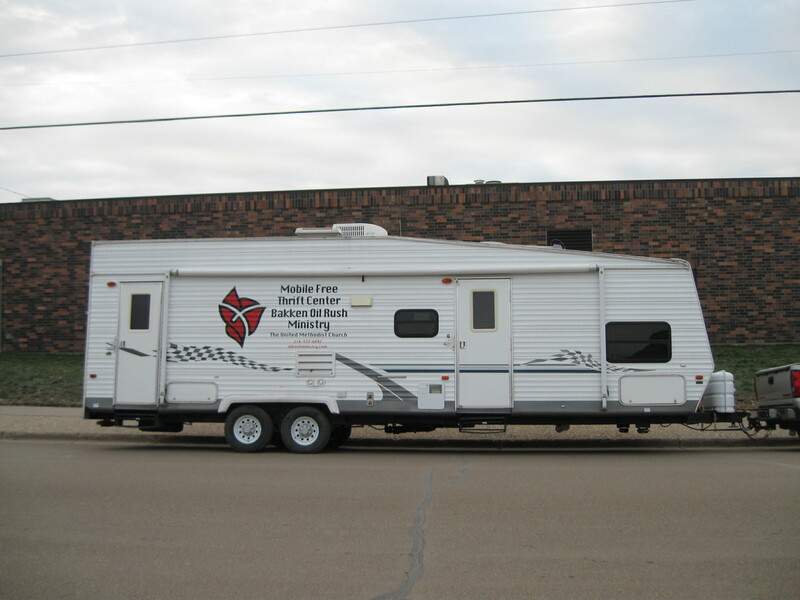 If we can help you be ready for winter, please come and see us! We are having our winter clothing giveaway this coming Monday and Tuesday. Monday, we’ll be open noon to 7 pm and Tuesday from 10 am to 3 pm. We need to close early Tuesday due to a funeral. Location: First Presbyterian Church, 3 1/2 blocks east of Carquest. 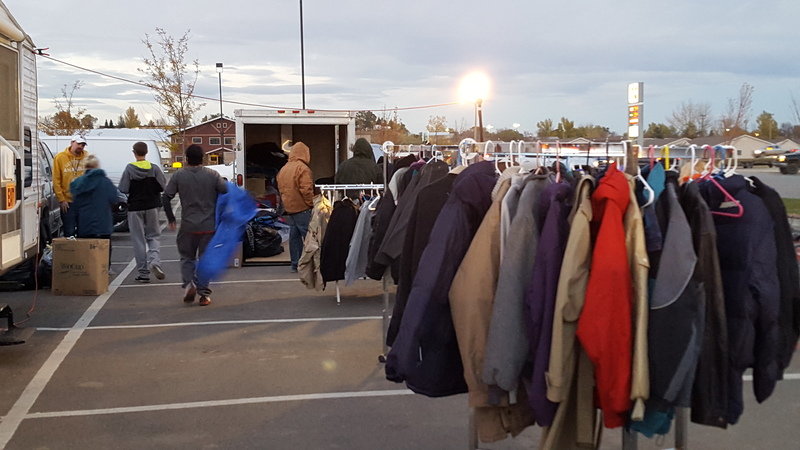 We will have coats, hoodies, caps, gloves, sweaters, snowpants, some coveralls, boots, warm socks warm shirts and also some thermal underwear. If you need any clothing for winter, we should be able to help. Please come and tell any friends that could use some help. That’s why we’re here! 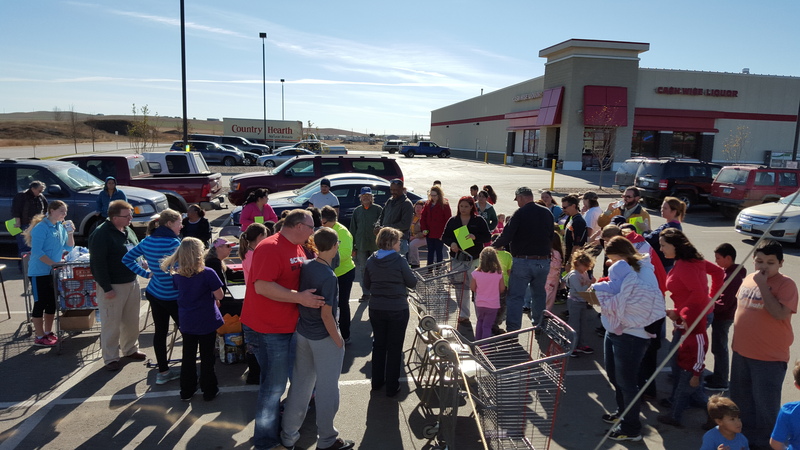 We had terrific weather on October 22nd for our coat giveaway. We had 53 people in line waiting for us to begin giving out coats. 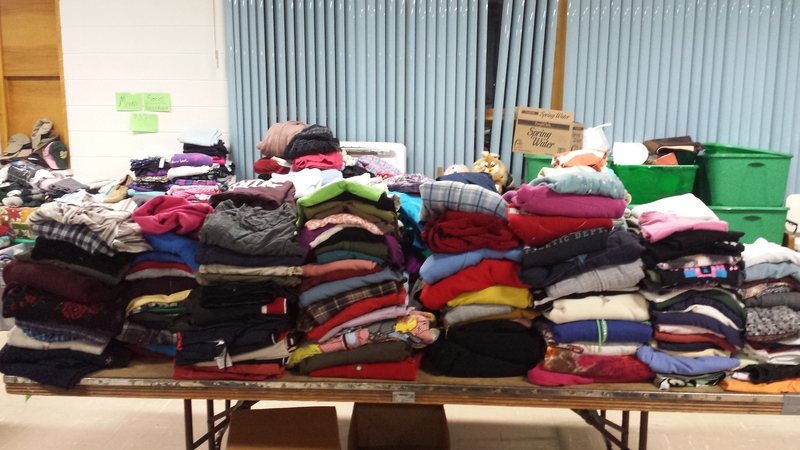 We registered 192 families/individuals and gave away 371 coats. They were a lot of grateful people receiving coats for themselves and their families. 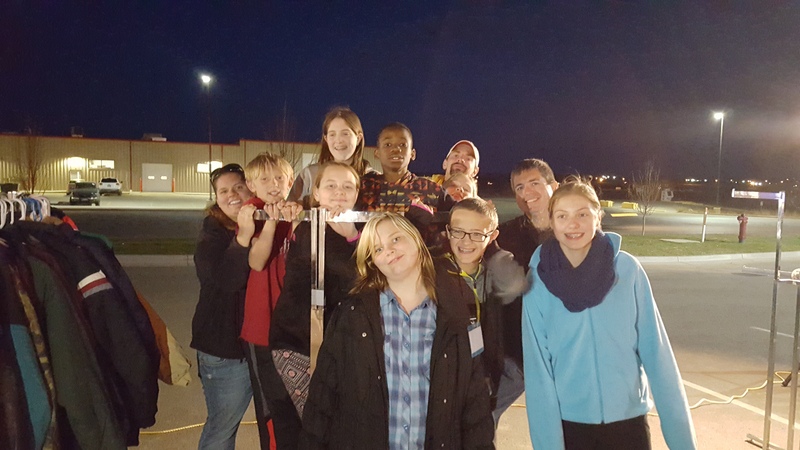 We had a youth group from Legacy church in Bismark that came to help us with the event. 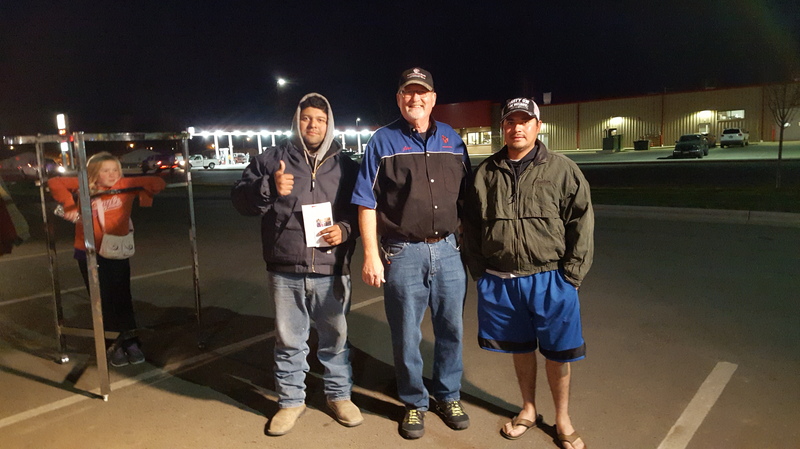 They did a wonderful job of helping people find the coats they needed. We also had a great group of local volunteers that helped with setup, registering folks and teardown. We are so blessed to have the wonderful help that we do. 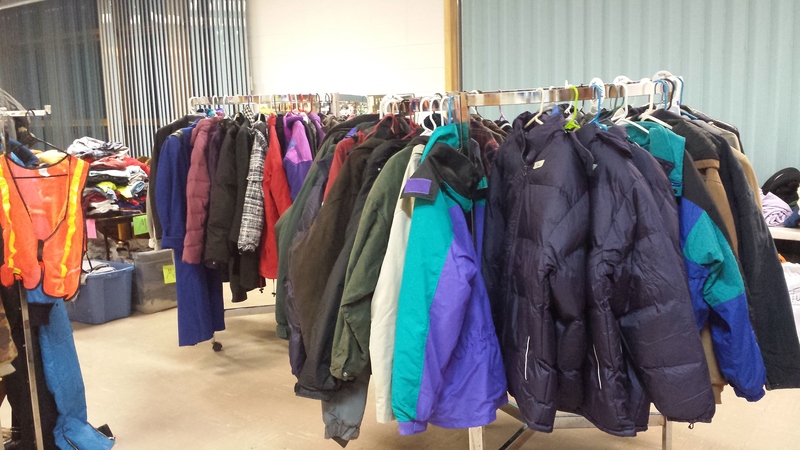 Tuesday, November 3rd, we will be open from 5 to 7 pm to give coats to those who didn’t receive one on the 22nd. We will also have caps, gloves, hoodies, boots and snowpants available. We want folks to be as ready as possible for the winter we know is almost upon us. Thanks to all of you who pray, donate time and money to make this ministry possible and effective! Fall Coat Giveaway is next week, October 22nd! 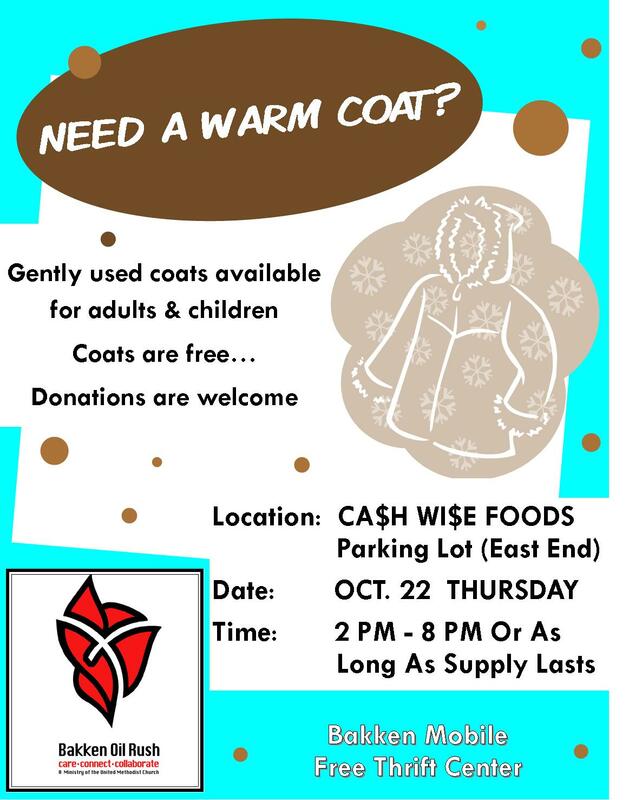 Our fall coat giveaway is next Thursday October 22nd from 2 pm to 8 pm at the east end of the Cashwise parking lot. We will have coats for men, women and children. 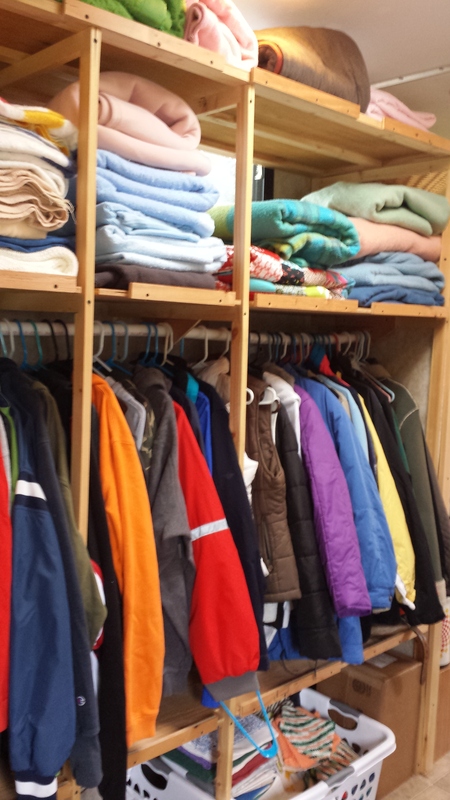 All coats are clean, gently used or new. 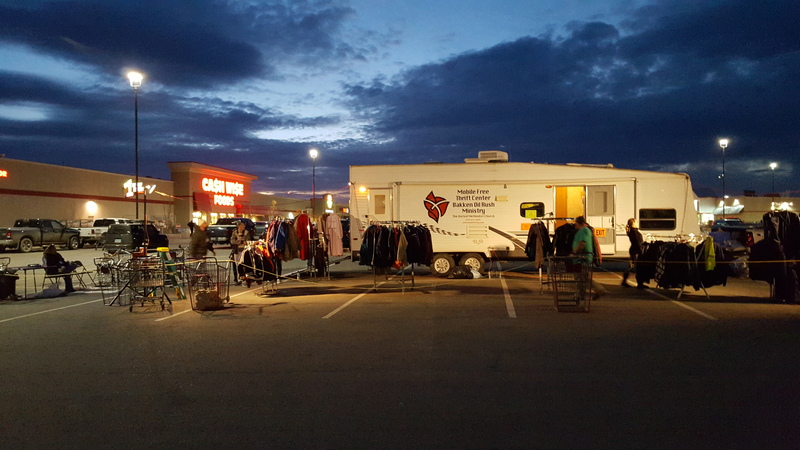 If you or your family are in need of coats to keep warm this winter, please come see us. If you know of people who need coats, please tell them about this event. We’re here to help! 2017 has been a very…very busy year! My how Time has flown! Comedy Cafe Event featuring comedian Jeff Allen coming to Watford City! Paula Horner on Helping and being helped!